I think it's well suited to people that are looking to track keywords for their business or a number of clients. If you are looking for a single system to do site management and rankings, then this is lacking. However I think it' a good tool to use if you don't mind using multiple ones. Tracks and visualizes keyword rankings on Bing and Google. Audits a website to identify opportunities to improve search engine rankings. A one-stop place to see all marketing data. Connects with most of Google's marketing data tools. I wish that the monthly emailed reports were customizable like the dashboard and more interactive for the customer. I think that there are some other things that would be neat to add, but aren't something that is "missing". For example, it would be awesome if we could have preset permissions for adding users to reports instead of needing to un-click everything we don't want the client to see. We moved off positionly as we needed more features that it is not currently delivering on, not for any fault of the application, but we just needed more. 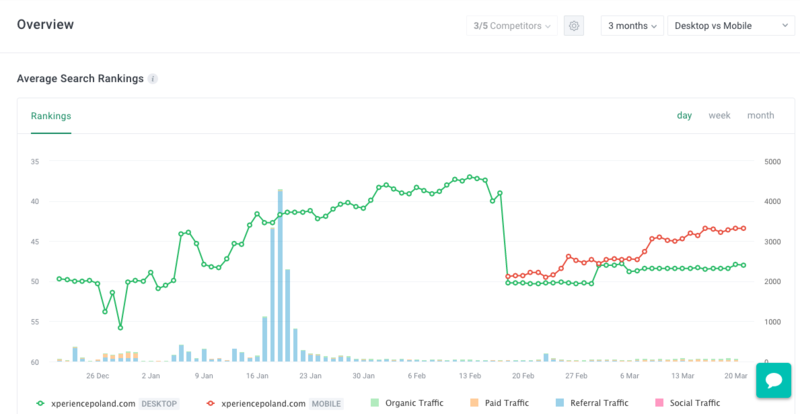 I've used Moz fairly extensively and I've found Agency Anaytics overall is a better tool for managing and monitoring keywords and SEO improvement opportunities. It's easy to use, quick to set up and less expensive than Moz. Positionaly was fine really, it did its job effectively and fast, with little problems, we moved to Agency Analytics for more features, but I was very happy with it as a tool. Agency Analytics has made it easier for us to report to our clients on a monthly basis. With being able to add users to the campaign, it also gives the client a little responsibility to track their report on their own time if it's between the monthly emails. This has saved us phone calls. Being able to updates reports in real time saves us money because other tools charge you each time you run the report. Sometimes changes are just "tests" and you may need to revert back to the original set up. With Agency Analytics, we're not charged extra for making changes. I can't say that it has an effect on the business really, its a great tool for what it is and we do need to track [data] for clients so it's essential in reporting, which can be seen as a financial boon, as without reporting clients may not pay. Overview of average keyword rankings of mobile and desktop devices. Competitor averages can also be enabled to appear on the graph.